This will be a nail biter. Both teams really want the win. This match up sees another wine vs. wine combination. I have been really enjoying a variety of Californian wine in the last few years from some fantastic producers. One of the early one's a few years ago that really opened by eyes was Matthiasson wines. A couple of my favorites are the Matthiasson Ribolla Gialla and the rosé which is made from Grenache, Syrah, Mouvedre, and Counoise from the Windmill vineyard in the Dunnigan Hills, and Syrah grapes from the Kahn Vineyard in Lovell Valley. For Portugal, it might be a bit too warm out to think about Port, but one of my favorites are the wines from Quinta do Infantado. They are one of the few port producers that produce their own grapes. 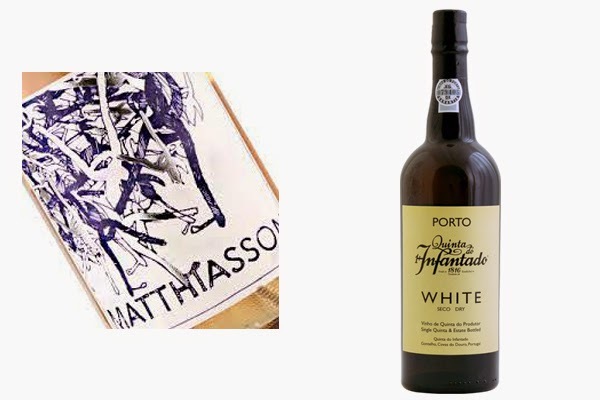 In addition to the Ruby, Tawny, Reserva, LBV, and vintage, they also produce an interesting white port which has a nutty character and when chilled works well as an aperitif.